“From Ashes to Easter” will not only be shared through written format, but also through video. Using the free technology of Facebook Live, Pastor Wendel will share a new devotional video each morning on the NALC’s Facebook. 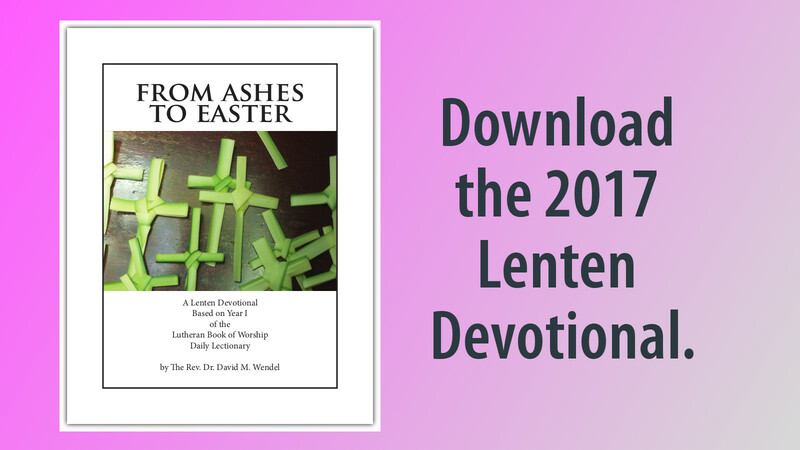 The devotional will also be at the top of each day’s NALC Lenten Devotion on the NALC website.